The French love a good riot, but the political backlash to the French government’s plans to increase carbon taxes on fuel could be a harbinger of what’s to come in countries committed to the global warming crusade. Calls from the United Nations and environmentalists for the world to “do more” to stem projected global warming might run up against economic realities. But France could be a taste of what’s to come if more governments try to tax carbon dioxide emissions. “In some senses the French are ahead of the rest of the world on this,” said John Constable, energy editor at the Global Warming Policy Forum, a U.K.-based think tank. Constable told The Daily Caller News Foundation because of France’s heavy reliance on emissions-free nuclear power, the government has to look beyond power plants to achieve its global warming goals. Macron raised fuel taxes already in 2018 to cut down on oil demand, but it’s hard for working-class people to sacrifice their livelihoods for speculative climate benefits in the future. 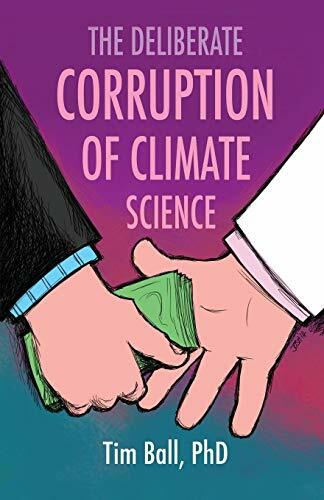 The Deliberate Corrupt... Tim Ball Best Price: $6.22 Buy New $10.22 (as of 09:10 EDT - Details) Carbon taxes on diesel and gasoline were set to take effect in January. French President Emmanuel Macron agreed to delay implementing the taxes for six months in the face of protests, but that might not be enough to satisfy demonstrators. “The extra burden imposed by Mr. Macron has caused something to snap, not demand but the temper of the people,” Constable said. “Broadly speaking, I would judge that French popular anger is the shape of things to come globally, as climate policies begin to move into more difficult sectors,” Constable said. France is only the latest country to reject new carbon taxes. Ontario Premier Doug Ford and his conservative coalition were swept into power by Canadian voters in June on a platform that opposed carbon taxes. Washington voters rejected a ballot measure in November to tax carbon dioxide emissions from industrial sources in their state. It’s the second time Washington voters rejected a carbon tax ballot initiative.